JSON-LD has grown in popularity with developers over the past couple of years for the preferred structured data markup, and it is the preferred markup now for Google. The question came up in the Google Webmaster Office Hours earlier this week with John Mueller, about Google’s preference to JSON-LD over the other structured data formats. So we see a lot of people using JSON-LD, so that is why we’ve kind of switched to preferring that slightly, we still accept all types of structured data in the other formats as well. I suspect going forward at some point we will say JSON-LD is the format we really strongly recommend, and maybe some of the newer types of structured data will only be available in JSON-LD, so that’s a possibility, but obviously you can mix and match. So if you are currently using microformats or whatever else, then there’s no need from a search point of view to switch to something like JSON-LD if everything is working well for you. 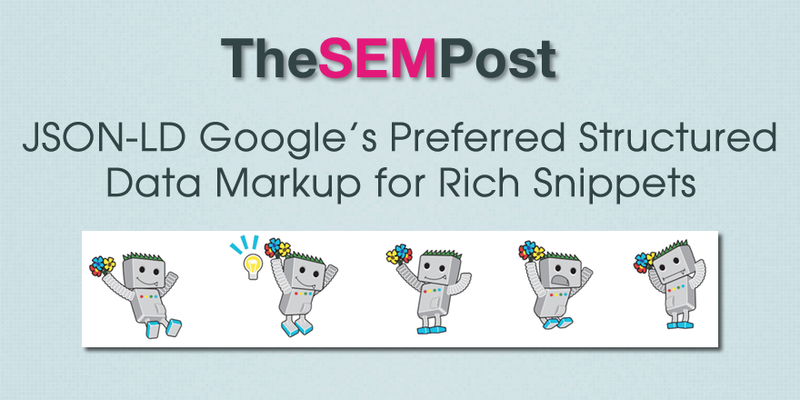 If your rich snippets are showing already, you don’t need to change the vocabulary or format that you are providing there. We have seen lots of evidence that Google seemed to be skewing towards JSON-LD as their preferred schema markup, particularly as new types are introduced. They said a year ago that they were supporting more JSON-LD and did recommend JSON-LD for some specific types of rich snippets at that time. They began showing JSON-LD for recipe rich snippets last year too. But as Mueller said, don’t go and swap out your current structured data for JSON-LD unless you have another reason for doing so.